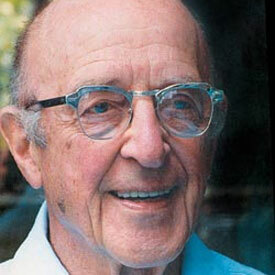 In the 40's and 50's, the research of Dr. Carl Rogers pioneered a modality of therapy that showed significant therapeutic gains. He called it Person Centered Therapy. This type of therapy is based on the idea that when people are shown genuineness, empathy, and unconditional positive regard, they will begin to believe in themselves and find creative ways to deal with problems on their own. Being non-directive, Person Centered Therapy places a premium on the therapist's capacity to not try to offer advice in any way, but rather, the therapist's role in this type of therapy is as someone who will believe in the client, so that the client will be able to believe in themselves in order to make the changes necessary to reach life satisfaction. The counselor does this by creating a comfortable environment so that the client does not feel threatened in any way. The counselor is also careful to remain completely non-judgmental, so that the client will be free to make mistakes without feeling like a failure. The therapist will also demonstrate congruence - or genuineness - so that the client can have someone they feel like they confide in. According to Dr. Rogers, when these conditions are met in therapy - and in life as well - people are able to break free of shackles that people once held, and under whom they struggled to become the best versions of themselves possible, in the path to self actualization. Once free of negativistic beliefs, and once the person is in an environment where they can believe in themselves, then the person will begin to feel the freedom to pursue ways in which their happiness can be realized. The primary difference between Cognitive Behavioral Therapy and Person Centered Therapy is the counselor's directive. In Cognitive Behavioral Therapy, the counselor will make an active effort to change the way a person thinks about the world through teaching realistic ways of perceiving the reality of any given situation, and through challenging irrational thoughts. In Person Centered Therapy, the counselor must not take any directive approach, but rather, the client is thought to have the capacity to enact their own change through the simple power of being in a situation where they are given the freedom to flourish. A Cognitive Behavioral Therapist, however, can take elements from Person Centered Therapy in to their own practice. In particular, a therapist's capacity for genuineness, empathy, and positive regard are held as a high standard for therapists, and are thought to be a cornerstone for creating a therapeutic environment in which a client can enact meaningful change.